Ninety-nine percent of AEA graduates enroll in Universities and Colleges around the world within a variety of different specialties and majors. 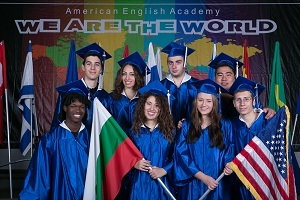 AEA graduates receive an American diploma that is recognized around the globe. The average teacher’s length of service at AEA is nine years. Our teaching staff is made up of qualified and experienced teachers from the United States, Bulgaria, Brazil, and Macedonia. Enrolled students are from 30 different nations and bring a wide depth of cultural and linguistic exclusivity to the Academy.